Celebrity fitness trainer, Maje Ayida has taken to his social media account to make a case for tax refunds. The ex-husband of popular celebrity, Toke Makinwa blames Lagos for the recent Lekki flooding that ravaged several homes and left many commuters stranded. Writing on his Instagram, the ex-husband of Toke Makinwa called out Nigerians on social media to join voices in tackling the government. 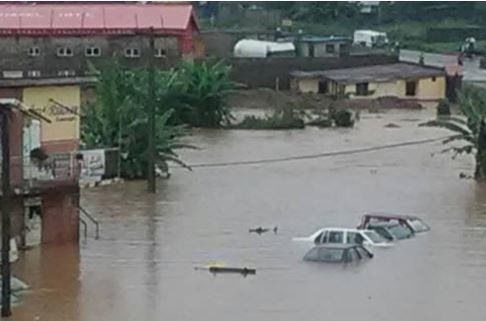 Parts of Ikoyi, Victoria Island and Lekki got flooded on Friday and Saturday following four days of torrential rainfall.